Uranium, gold, lithium - In saltwater billion tons of valuable raw materials are dissolved. Previously, it was difficult to extract them out. Now researchers are venturing again into "fishing" the treasure from seawater. GERMANY – The sea is a gold mine depending on where you look. Normally one liter of sea water contains only a few billionths of a gram of gold. 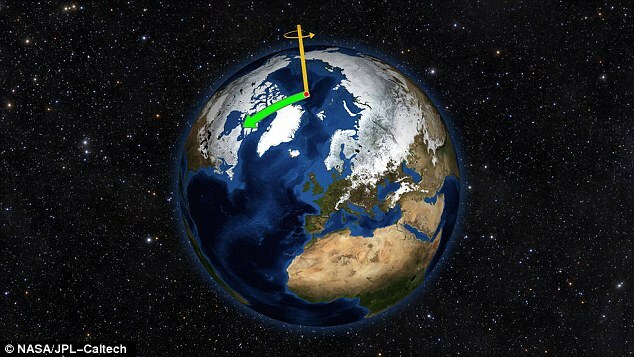 But now researchers have discovered from a bubbling spring on the Icelandic Reykjanes Peninsula. It contains gold whose concentration is half a million times higher than in normal seawater. It is not only the precious metal; other raw materials are also dissolved in huge quantities in seawater. There is approximately four billion tons of uranium, enough to meet the energy needs of humanity for 10,000 years. Lithium: The rare earth metal is used for batteries in tablets or smartphones. More and more countries can explore on how to tap into the oceans as a new source of resources. In Germany, GEOMAR Helmholtz Centre for Ocean Research in Kiel, was involved in the discovery of gold deposits beneath hot springs in Iceland. “The measured concentrations are sufficient to make significant gold deposits,” says Mark Hannington, head of the Working Group on Marine resource exploration of GEOMAR. The team estimates that the geothermal Reykjanes reservoir contains at least 10,000 kg of gold. The researchers assume that the seawater dissolved and circulating in underground rock columns gold must have accumulated over longer periods before it leaves the reservoir again, and then exit with very high concentrations of gold in the drill holes. 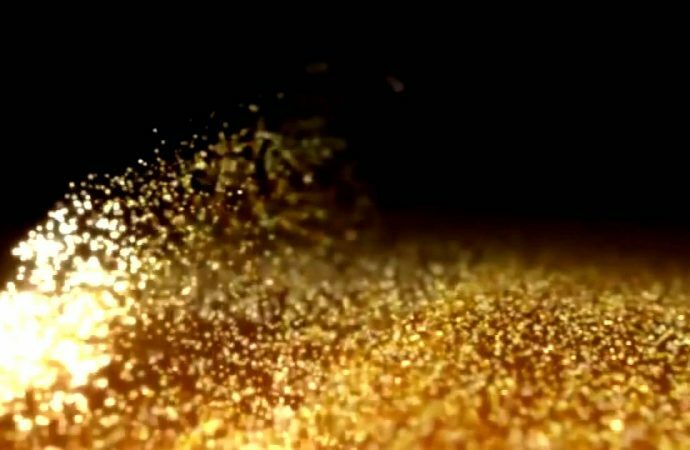 “This gold may come in the form of finely dispersed gold nanoparticles in fluids before,” suspects Dieter Garbe-Schönberg from the University of Kiel. Nanogold is in demand in many areas of technology. Its special surface properties ensure it can be used as catalysts which can effectively run sluggish chemical reactions. Young researchers at the University of Heidelberg and the German Cancer Research Center came to a smart idea on how to extract the gold from seawater. In order to precipitate the gold from the solution, they use the skills of specially adapted bacteria. The microbe is called Delftia acidovorans which grows only on gold mines. The microorganism has adapted to the environment except by dissolves the precious metal of relatively low concentration solutions of gold. Researchers have identified the genes for necessary and incorporated into the common microbe E.coli. 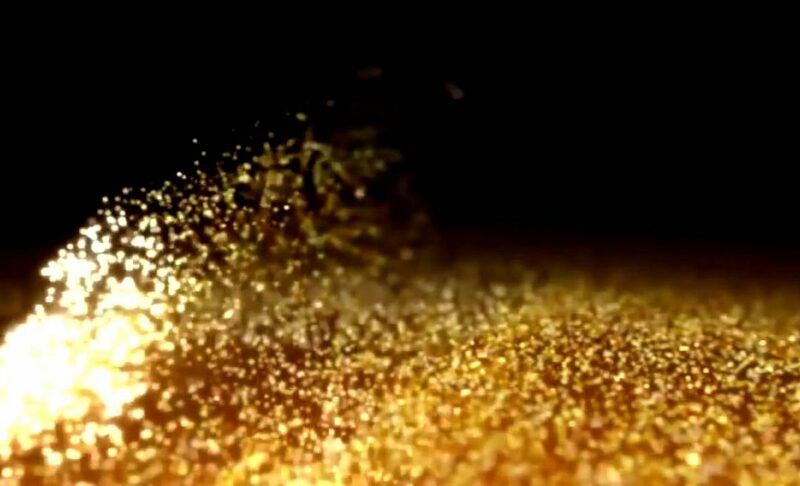 The researchers have applied for a patent, because the biotechnological processes for the extraction of gold is competitive and could revolutionize the gold extraction from the sea. The United States is promoting a major research program in the recovery of uranium from the oceans. Uranium is dissolved in water supplies originate from natural minerals that were purged by the weathering into the sea. However: The uranium is not easy to extract from the water. In the 80s Japanese scientists experimented with materials that specifically bind uranium from seawater itself. US are trying to make the method more effective. The research consortium wants to literally fish uranium. The research study in this has been published in the journal Industrial and Chemical Engineering Research, it provided for the first time before the materials and the method. They want the cost of uranium extraction from the sea to reduce the three to four times – and increase the yield at the same time. “To make the nuclear energy future-proof, we need an economically viable and reliable source for the fuel supply,” explained Phillip Britt, director of the program in the US Department of Energy. The method was developed primarily on two government-owned research institutes, the Oak Ridge National Laboratory in Tennessee and the Pacific Northwest National Laboratory in Richland. The “uranium-catcher” are long strings of polyethylene fibers. The thin but stable fibers are treated in a special process which converts a portion of their molecules in amidoxime. This organic compound consisting of carbon and nitrogen is the “bait” for the water dissolved in the uranium as this preferably binds thereto. To “catch” the uranium, the cords are simply hung into the sea, in a well-mixed area of the water. After several weeks, the uranium-bearing cords can be obtained again. They come in an acid bath where the uranium is released in the form of uranyl. The compound can be easily obtained from the solution and can then be enriched and processed into uranium. The uranium “Angel” survives this treatment without problems and can be reused directly in the ocean, according to the researchers. How much uranium can be presented in this way out of the sea, already tests showed at three different locations on the US West Coast, in Florida and on the coast of Massachusetts. After 49 days in seawater, the cords were tied after all six grams of uranium per kilogram of absorbent material. The Japanese researchers had only extracted two grams of uranium per kilogram absorber from the sea. For the plastic cords had to remain in the water 60 days. “Understanding how the absorber work under natural conditions in the sea water, is critical,” said Gary Gill, deputy director at the Pacific Northwest National Laboratory. Because in addition to the highest possible yield of uranium must be ensured that this method has no negative impact on the environment. “But we have already found that most of these absorber materials are not toxic,” said Gill. The team has been working on the method for half a decade. It began modeling in the computer, which checked selectively bind chemical groups on uranium. Then followed thermodynamic and kinetic studies that determined how fast the uranium binds from the water to the absorber and where the equilibrium of this reaction lies. Only when more is bound, as dissolves again, it works. The project also had the Chinese Academy of Sciences and the Japanese Atomic Energy Agency (JAEA) involved. At Rokkasho Fusion Institute, part of the JAEA, the Japanese researchers looked into to technical ways to strategically get more important raw materials from sea water. These include lithium, which is included among the rare earth metals. It is required primarily for rechargeable lithium-ion batteries, as they are today used in tablets, digital cameras and mobile phones and also be used for efficient energy storage in electric cars. While the known, accessible lithium deposits in the world are estimated at around 50 million tonnes, probably 230 billion tons of lithium are dissolved in the water resources of the oceans. However, the raw material is coming in only as a trace element. However, the amount of lithium in water is not as much as gold for instance in around 150,000 liters of seawater it barely contains 30 grams. This did put off Fusion Institute Tsuyoshi Hoshino from Rokkasho. The scientist has just introduced a method by which lithium can be filtered out of the water, even if only in modest amounts. This works without the additional use of the energy it uses to bring the electrically charged lithium particles with itself. In the filter, a thin membrane of lithium ion conductive glass-ceramic, the charged particles of the negative side move toward the positive side, thus producing an electrical voltage. In a 72-hour test the filter achieved a recovery rate of around seven percent. It is only a beginning and need improvement. Experts from the UK Energy Research Centre assume that commercial commodities can gain from the sea with such techniques by 2030 – provided that the prices of gold, uranium or lithium are high enough.